John Robinson is a Professor at the Munk School of Global Affairs and Public Policy, and the School of the Environment, at the University of Toronto; an Honorary Professor with the Institute for Resources, Environment & Sustainability at The University of British Columbia; and an Adjunct Professor with the Copenhagen Business School. At the University of Toronto, he is also Presidential Advisor on the Environment, Climate Change and Sustainability. 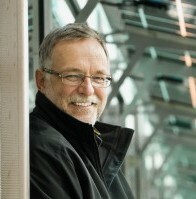 Prof. Robinson’s research focuses on the intersection of climate change mitigation, adaptation and sustainability; the use of visualization, modelling, and citizen engagement to explore sustainable futures; sustainable buildings and urban design; the role of the university in contributing to sustainability; creating partnerships for sustainability with non-academic partners; and, generally, the intersection of sustainability, social and technological change, behaviour change, and community engagement processes.